Oman’s recent announcement that it would not be ready to host games came as a blow to FIFA which had targeted both Oman and Kuwait – neither of which is involved in the Saudi-led blockade of Qatar – as potential shared hosts. Infantino needs something concrete to present to FIFA delegates at June’s annual Congress and met Kuwaiti ruler Sheikh Sabah al-Ahmed Al-Sabah on Sunday, state media said. 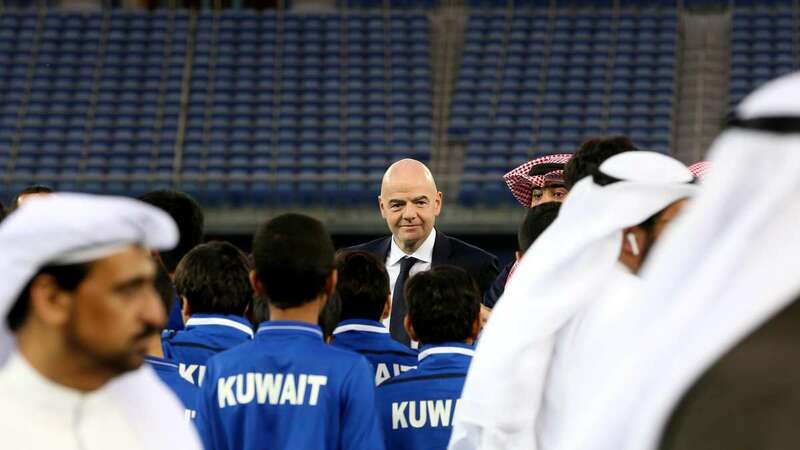 With Kuwait the only current viable option left, Infantino flew on to Doha to see Qatari leaders on Monday about the prospect of expanding to 48 teams which cannot be done without co-hosting. Infantino said last week that he now believes there is only a 50% chance of fast-tracking 48 teams into the 2022 tournament rather than start expansion, as already agreed, in 2026 when the United States, Canada and Mexico are joint hosts.